1) (co. Bedford, and London). Az. a fesse dancettee betw. three lions pass. guard. or. 2) (co. Derby and London; granted 16 November, 1660). Ar. a fesse counter-embattled betw. three dolphins embowed or. Crest—A kingfisher ppr. in the beak a fish or. 3) (Chilton Condover, co. Hants). Or, a fesse cotised sa. Crest—A demi heraldic tiger reguard. vulned in the shoulder by a spear held in his mouth all ppr. 4) (Cottesford, co. Hertford, and London). Ar. on a chev. betw, three demi lions ramp. gu. as many plates. Crest—A demi lion ramp. gu. holding betw. the paws a laurel branch vert. 5) (Justice of Common Picas, 1502). Same Arms, the chev. charged with bezants. 6) (cos. Gloucester, Hertford, and Stafford). Gu. three demi lions couped ramp, or, a chief of the last. 7) (London, cos. Herts and Stafford; granted 1614). (St. Giles’s, co. Middlesex). Or, three demi lions ramp. gu. a chief indented of the second. Crest—A demi lion ramp. gu. holding a laurel branch vert. 8) (Maidstone, co. Kent). Ar. on a chief gu. a dolphin embowed of the first (another, or). Crest—On a branch of a tree couped raguly fesseways sprouting a branch at each end a peacock all ppr. 9) (co. Kent). Per fesse gu. and ar. in chief a dolphin of the second. 10) (London, cos. Lancaster and Oxford; granted 26 April, 1613). Gu. a chev. betw. three leaves erect ar. within an orle of eight bezants, on a canton per bend sinister vert and az. as many fleurs-de-lis or. 11) (Cossington, co. Leicester). Or, a kingfisher ppr. in chief two fleurs-de-lis sa. Crest—A kingfisher ppr. charged on the breast with a fleur-de-lis sa. Motto—Respice finem. 12) (Ravenston, co. Leicester; granted 30 Nov. 1771). Ar. a fesse betw. three fleurs-de-lis sa. Crest—A kingfisher ppr. in the dexter claw a fleur-de-lis sa. 13) (London). Or, three kingfishers ppr. Crest—On the stump of a tree couped and eradicated a kingfisher all ppr. 14) (Thorncombe, co. Surrey). Erm. on a fesse wavy vert betw. three kingfishers ppr. as many fountains. Crest—Amidst bulrushes a fountain, therefrom a kingfisher rising in the beak a fish all ppr. Motto—Favente Deo. 15) (London and co. Stafford; granted 4 Feb. 1607). Or, a kingfisher ppr. Crest—A kingfisher holding a fish in the mouth all ppr. 16) (London). Or, semee of trefoils gu. three crescents of the last. 17) (co. Middlesex). Gu. three demi lions ramp. or, a chief indented of the second. Crest—A demi lion ramp. guard. holding a carved shield of the arms, the carving or. 18) (Whittingham-Magna, co. Norfolk). Gu. a dolphin or, and chief erm. 19) (Bishop of Salisbury, 1813). Sa. on a mount vert two stags saliant combatant ar. Crest—A demi stag ppr. collared and lined or. 20) (Hartwell Park, co. Northampton). Ar. a chev. vair betw. three demi lions ramp. and erased gu. Crest—A demi seadog ramp. or. 21) Ar. on a chief or, two martlets, wings displ. sa. 22) (Ludlow, co. Salop). Per bend or and gu. (another, gu. and or) a griffin segreant counterchanged, a bordure vair. 23) (Packington Magna, co. Warw ick, bart., extinct 1739; descended from Fisher, of Dottel, co. Salop; the heiress, Mary, niece of Sir Robert Fishes, last bart., m. the second Earl of Aylesford, and conveyed Packington to her husband’s family). Ar. a chev. wavy vair betw. three demi lions ramp. gu. Crest—A demi seadog az. crined and unguled or. 24) (St. Giles’s, co. Middlesex, bart., extinct 1707; the heiress, Ursula, sister of the last bart., to. Sir William Holton. Bart., of Samford, and conveyed the Manor of Berners to him). Or, three demi lions ramp. and a chief indented gu. 25) (Scotland). Az. a chev. betw. three salmon haurient ar. 26) (Newhall, Scotland, 1740). Az. on a chev. ar. betw. two otters’ heads erased in chief and a salmon naiant in base ppr. three stars gu. Crest—A demi lion ramp. gu. holding betw. the paws an anchor az. Motto—Spe et amore. 27) (Foremark, co. Derby; confirmed in 1730). Ar. a fesse wavy betw. three fleurs-de-lis sa. Crest—A kingfisher ppr. holding in the dexter claw a fleur-de-lis sa. 28) (Sidhamweek, co. Wilts). Or, on a chev. betw. three demi lions gu. as many bezants. 29) (Lydenham, co. Wilts). Or, on a chev. betw. three demi lions ramp. gu. as many plates, a mullet for diff. 30) (confirmed to Rev. 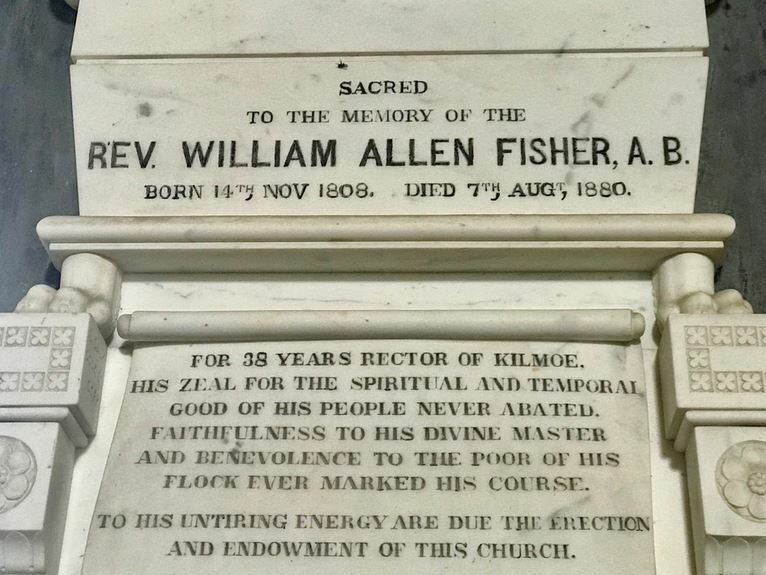 William Allen Fisher, Rector of Kilmoe, co. Cork, second son of Joseph Devonsher Fisher, Esq., of Woodmount, co. Waterford). Or, three kingfishers ppr. on a chief az. an ancient Irish harp of the field. Crest—A kingfisher holding in the beak a fish all ppr. Motto—Veritas vincit. 31) Gu. three demi lions ramp. or, a chief of the last. Crest—An eagle displ. or. 32) Or, a fesse gu. surmounted with a bend sa. Crest—On a branch trunked and raguly, lying fesseways, and sprouting from the dexter end a honeysuckle, a kingfisher all ppr. holding in the beak a fish or. 33) Quarterly, az. and gu. (another, vert and gu.) a fesse dancettee erm. in chief a lion pass. guard. betw. two martlets ar. 34) Or, a bend wavy cotised ermines. 35) Erm. on a bend engr. az. three escallops or. 36) Ar. on a chev. betw. three demi lions ramp. gu. as many escutcheons of the first. 37) Gu. on a cross botonnee fitchee or, betw. four demi lions ramp. of the last as many pellets, on a chief paly of four az. and or, a fish naiant counterchanged. Crest—A demi seadog per cross ar. and az. 38) (Bentley Hall, co. Stafford; granted to Rev. Isaac Fisher, M.A., Incumbent of Willenhall, same county), Erminois a kingfisher ppr. a bordure engr. sa. charged with ten crosses pattee ar. Crest—A mount vert, thereon on a stock of a tree couped a kingfisher ppr. 39) Ar. on a chev. betw. two couple closes gu. betw. three demi lions ramp. as many bezants. Crest—Out of a ducal coronet a demi lion ramp. holding betw. the paws a gauntlet. Motto—Virtutem extendere factis. 40) (confirmed by the deputies of Camden, Clarenceux, to Sir Edward Fisher, grandson of Thomas Fisher, alias Hawkins, of the town of Warwick). Gu. a fess vair betw. two falcons volant in chief and a dolphin embowed in base, all ar. a bordure engr. of the last. Crest—A cubit arm erect vaire ar. and purp. on the hand a glove holding a falcon tasselled all or. 41) (Fisher’s Prospect, now Courtown, co. Wexford. Sir Edward Fisher son of Henry Fisher, by Katherine Giggins, his wife, knighted 2 Oct. 1603, by Sir George Carey, Lord Deputy of Ireland, granted 1,500 acres of Hy Kinselagh. viz., Tore or Tara Hill down to the River Ounavarra, 9 James I., d. s. p. m. Dec. 1632, left five co­heirs, one of whom, Elizareth Fisher, m. Edward Chichester, brother of the first Earl of Donegal; their son, John Chichester, sold these lands in 1711 to James Stopford, Esq., of New Hall, co. Meath, whose son was raised to the peerage with the title of Courtown (Knights dubbed. Fun. Ent., &c., Ulster’s Office). (Kilmainham, co, Dublin; Collection of Molyneux. Ulster, 1597-1632). Ar. on a chev. betw. three demi lions ramp. gu. as many bezants. Crest—A fleur-de-lis quarterly, ar. and sa. 42) (Reg. Ulster’s Office). Ar. on a fess dancettee betw. three demi lions pass. guard. sa. as many plates. Crest—A demi lion ramp. ar. holding in the dexter paw a hammer ppr. 43) (Childsey, co. Berks, and Mickleton, co. Gloucester; James Fisher, of Childsey, b. 1622, son of Edward Fisher, Mickleton, and grandson of Edward Fisher, of same place. Visit. Berks, 1664). Gu. three demi lions ramp. and a chief or. Crest—A demi lion ramp. escutcheon gu. 44) (Spring Dale, co. York). Ar. on a chev. gu. three trefoils slipped of the field, in chief as man; fleur-de-lis of the second. Crest—In front of a bulrush erect a kingfisher ppr. resting the dexter claw on a fleur-de-lis or. Motto—Virtute et fide. 45) (Winsley and Limpley Stoke, co. Wilts. This family were large landowers in these parishes during the 18th century. Arms from the Fisher monument in Limpley Stoke church, St. Mary the Virgin). Or, a chev. gu. hetw. three kingfishers, each holding a flsh in the beak all ppr. Crest—A kingfisher as in the arms. 46) (of Carmarthen, recorded in Wales) Per bend sinister or and gules, a gryphon segreant counterchanged in a bordure gobony argent and azure. 47) (Bookplate Francis Fisher) Az in chief a ducal crown, in base a dolphin embowed. Crest: an eagle rising. (Source: Bolton’s American Armory, 1927). 48) (Bookplate Lindley Fisher, Phila.) Or 3 kingfishers ppr contourné. Crest: a stag’s head collared and chained contourné. (Source: Bolton’s American Armory, 1927). 49) Fyshar – (John Fyshar, Bishop of Rochester, 1515). Az. a dolphin embowed betw. three ears of wheat or. 50) Fysher – (co. Bedford). Or, a kingfisher close gu. 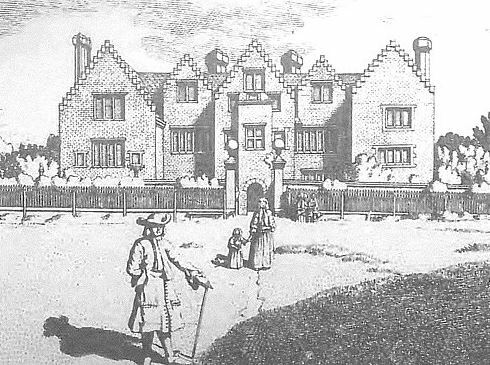 51) Fysher – (London, 1607). Same Arms, a mullet gu. for diff. Crest—A kingfisher ppr. 52) Fysher – (Lydhamwicke, co. Wilts; granted 10 Oct. 1608). Ar. on a chev. cotised betw. three demi lions ramp. guard. gu. as many bezants. Crest—A demi lion ramp. guard. gu. holding a gauntlet ar. 53) Galicie – Coupé au 1 parti de gueules et d’argent à un homme issant brochant sur le parti habillé et coiffé d’un chapeau de l’un en l’autre tenant le manche d’un filet posé sur son épaule le filet brochant sur l’argent au 2 parti a d’argent à un senestrochère paré de gueules mouv du parti la main de carnation tenant un rameau d’olivier de sinople b de gueules à une ancre d’or acc de trois étoiles du même rangées en chef A la fasce ondée d’argent brochant sur l’écartelé Deux casques couronnés Cimiers 1° l’homme issant du 1 2° le senestrochère du 2a issant de la couronne Lambrequin d’argent et de gueules. English: Per fess 1st per pale gules and argent with a man issuant covering over the per pale dressed and wearing on the head a hat counterchanged holding the handle of a net placed over his shoulder the net covering over the argent 2nd per pale a) argent with a left arm clothed [dressed] gules coming from the partition [pale] the hand carnation holding an olive branch vert b) gules with an anchor or accompanied by three etoiles of the same arranged in chief Overall the fess undy argent covering over the quarterly Crowned with two helmets Crests: 1st the man issuant of the 1st 2nd the left arm of 2a issuant from the crown Mantling: argent and gules. 54) Galicie – Coupé au 1 d’azur à un cerf naissant d’argent mouv du coupé au 2 d’argent à un senestrochère armé tenant une épée le tout au naturel Casque couronné Cimier le cerf issant. English: Per pale 1st or with a log of a tree proper on a mount vert emerging to the dexter and to the sinister a branch leaved of the same 2nd argent with a stork proper beaked and legged gules passant in the rushes vert wreath on the helmet argent and gules or and azure Crest: a plume of five ostrich feathers argent surmounted by of seven etoiles or placed in a semi circle 3 and 4 all between a pair of wings sable Mantling: to the dexter or and gules to the sinister argent and azure. 55) Livonie – (Nob. du St-Empire, 3 mai 1736) – Parti au 1 d’or à un tronc d’arbre au naturel terrassé de sinople poussant à dextre et à senestre une branche feuillé du même au 2 d’argent à une cigogne au naturel becquée et membrée de gueules passant dans des joncs de sinople Bourlet d’argent et de gueules d’or et d’azur Cimier un panache de cinq plumes d’autruche d’argent surmonté de sept étoiles d’or posées en demi-cercle 3 et 4 le tout entre un vol de sable Lambrequin à dextre d’or et de gueules à senestre d’argent et d’azur. English: Per pale 1st or with a log of tree proper on a mount vert emerging to the dexter and to the sinister a branch leaved of the same 2nd argent with a stork proper beaked and legged gules passant in the rushes vert wreath on the helmet argent and gules or and azure Crest: a plume of five ostrich feathers argent surmounted by of seven etoiles or placed in a semi circle 3 and 4 all between a pair of wings sable Mantling: to the dexter or and gules to the sinister argent and azure. 56) Moravie – (Chevaliers, 30 nov. 1726) – D’argent à un pal de gueules et une bande de l’un en l’autre brochant sur le pal chaque compartiment d’argent ch d’un dauphin nageant au naturel la queue en haut Casque couronné Cimier une sirène au naturel la tête posée de front les bras remplacés par un vol aux armes de l’écu. English: Argent with a palets gules and a bend counterchanged covering over the palets each compartment argent charged with a dolphin naiant [swimming] proper the tail upwards Crowned with a helmet Crest: a mermaid proper the head placed facing forwards the arms replaced by a pair of wings with the arms of of the shield. 57) Lyonnais – D’azur à une sirène d’argent chevelée peautrée lorrée et couronnée d’or. English: Azure with a mermaid argent hair with tails of finned and crowned or. 58) Edle von Ehrenborn – Transylvanie – (An., 30 janv. 1822) – Coupé au 1 parti a de gueules à une fleur-de-lis d’argent b de sinople à une tête de Turc au naturel au 2 d’azur à un pêcheur habillé d’une veste brunâtre et d’un haut-de-chausses d’argent coiffé d’un bonnet albanais tenant un filet à manche posé sur son épaule ledit pêcheur passant dans le fond d’un pré de sinople traversé par une rivière en fasce Casque couronné Cimier un vol de sable Lambrequin à dextre d’argent et de gueules à senestre d’argent et de sinople. English: Per fess 1st per pale a) gules with a fleur de lys argent b) vert with a head of Turk proper 2nd azure with a fisherman dressed in a jacket brunatre and knee breeches argent wearing on the head a Albanian [woollen?] hat holding a fishing net with handle placed over his shoulder the aforesaid fisherman going through the back a meadow vert crossed by a river fesswise Crowned with a helmet Crest: a pair of wings sable Mantling: to the dexter argent and gules to the sinister argent and vert. 59) Danemark – (An., 27 oct. 1719) – Écartelé aux 1 et 4 d’azur à trois poissons d’or posés en pairle les têtes dirigées vers l’abîme aux 2 et 3 de gueules à un dragon d’or les ailes levées Sur le tout d’azur à une sirène de carnation couronnée d’or posée de profil Cimier une sirène à deux queues qu’elle tient de ses mains posée de face. English: Quarterly 1st and 4th azure three fish or placed en pall the heads directed towards the center 2nd and 3rd gules with a wyvern or the wings upright overall azure with a mermaid carnation crowned or placed in profile Crest: a mermaid two tail which she is holding in her hands placed facing forwards. 60) Edle von Wildensee – Autriche – (An., 30 sept. 1824) – Parti au 1 coupé a d’argent au lion de gueules couronné d’or brandissant une épée b d’azur à un soleil d’or s’élevant derrière un tertre de sinople acc d’un croissant d’argent en chef à senestre au 2 d’or à un vaisseau aux voiles gonflées ballotté sur une mer agitée le tout au naturel Cimier le lion du 1a issant Lambrequin à dextre d’argent et de gueules à senestre d’or et d’azur. English: Per pale 1st per fess a) argent of lion gules crowned or brandishing a sword b) azure with a sun or rising behind a hillock vert accompanied by a crescent argent in chief to the sinister 2nd or with a three masted ship of sails billowing tossing on a sea with curling waves all proper Crest: the lion of 1 a issuant Mantling: to the dexter argent and gules to the sinister or and azure. 61) Edle von Röslerstamm – Autriche – (An., 10 avril 1819) – Coupé au 1 parti a de sinople à une ruche au naturel posée sur une table à quatre pieds d’or et entourée de huit abeilles au naturel b d’azur à trois étoiles d’or au 2 d’or à un Cyclope nu ceint d’un tablier de cuir posé sur une terrasse de sinople brandissant de sa main dextre un marteau et tenant de sa senestre une hallebarde d’argent posée sur une enclume de sable adextrée de trois autres hallebardes Cimier une étoile d’or entre un vol d’azur Lambrequin à dextre d’argent et de sinople à senestre d’or et d’azur. English: Per fess 1st per pale a) vert with a bee hive proper placed over a table with four legs or and surrounded by eight bees proper b) azure three etoiles or 2nd or with a Cyclops naked belted with an apron of leather placed on a mount vert brandishing in its dexter hand a hammer and holding in its sinister a halberd argent placed over an anvil sable having to the dexter three others halberds Crest: an estoile or between a pair of wings azure Mantling: to the dexter argent and vert to the sinister or and azure. 62) Saxe, Prusse – (Nob. du St.-Empire, 22 juin 1792. M. ét. le 16 juillet 1852) – D’azur à une colombe d’argent posée sur une terrasse de sinople Casque couronné Cimier trois plumes d’autruche une d’azur entre deux d’argent Lambrequin d’argent et d’azur. English: Azure with a dove argent placed on a mount vert Crowned with a helmet Crest: three ostrich feathers a azure between two argent Mantling: argent and azure. 65) Wurtemberg – (Barons, 1 janv. 1806) – Parti au 1 d’azur à deux bars adossés d’or au 2 d’or à la bande de gueules ch de trois roses d’argent Deux casques couronnés Cimiers 1° un jeune homme issant habillé de gueules coiffé d’un bonnet pointu du même retroussé d’argent sommé d’une boule du même les bras étendus tenant de sa main dextre un hameçon de fer l’arête tournée en dehors et de sa senestre une bague d’or Lambrequin d’or et de sable 2° un vol de sable chaque aile ch d’une rose d’argent Lambrequin d’argent et de sable. English: Per pale 1st azure two barbels [fish] addorsed [back to back] or 2nd or a bend gules charged with three roses argent Crowned with two helmets Crests: 1st a young man issuant dressed gules wearing on the head a hat pointed of the same turned up argent surmounted by a ball of the same the arm extended holding in its dexter hand a fish hook of iron the edge turned outside and in his sinister a ring [jewellery] or Mantling: or and sable 2nd a pair of wings sable each wing charged with a rose argent Mantling: argent and sable. 66) Winterthür (Zurich) – De gueules à trois poissons d’argent entrelacés en triangle celui posé en bande ayant la tête en haut les deux autres ayant les têtes en bas. English: Gules three fish argent interlaced in triangle the one placed bendwise having the head upwards the two others having the heads downwards. 67) Nuremberg – D’azur à un castor rampant au naturel tenant entre ses dents un poisson d’or Cimier le castor issant Lambrequin d’or et d’azur. English: Azure with a beaver rampant proper holding between its teeth a fish or Crest: the beaver issuant Mantling: or and azure. 68) Nördlingen (Bavière) – Écartelé aux 1 et 4 de gueules à un héron d’argent posé dans une eau au naturel et tenant en son bec un poisson d’argent en pal le héron du 1 contourné aux 2 et 3 de sable à un griffon du 3 contourné Casque couronné Cimier le héron du 4 entre un vol l’aile dextre de gueules à la bande d’argent l’aile senestre d’or à la barre de sable Lambrequin à dextre d’or et de sable à senestre d’argent et de gueules. English: Quarterly 1st and 4th gules with a heron argent placed in a river proper and holding in its beak a fish argent palewise the heron of the 1st reversed 2nd and 3rd sable with a griffin of the 3rd reversed Crowned with a helmet Crest: the heron of the 4th between a pair of wings the wing dexter gules a bend argent the wing sinister or with the bend sinister sable Mantling: to the dexter or and sable to the sinister argent and gules. 69) Nuremberg – De sable à une tête et gueule béante de bête féroce d’argent languée de gueules Cimier un homme issant habillé d’or rebrassé de sable coiffé d’un bonnet du même tenant de sa main dextre un oiseau au naturel et de sa senestre un signe au naturel tous deux attachés à un lien d’or. English: Sable with a head and gaping mouth of a ferocious beast argent langued gules Crest: a man issuant dressed or turned back [of cuffs etc.] sable wearing on the head a hat of the same holding in his dexter hand a bird proper and in his sinister a sign(?) proper both attached to a line or. 70) Saint-Gall – Parti d’azur et d’argent à un homme brochant sur le parti habillé de l’un en l’autre coiffé d’un chapeau de l’un en l’autre posé sur une terrasse rocheuse pareillement de l’un en l’autre tenant un filet attaché à un bâton posé sur son épaule Cimier l’homme issant. English: Per pale azure and argent with a man covering over the per pale dressed counterchanged wearing on the head a hat counterchanged placed on a rocky mount likewise counterchanged holding a fishing net attached to a baton placed over his shoulder Crest: the man issuant. 71) Prusse – (An., 18 oct. 1786 et 8 mars 1804) – D’azur à la bande ondée d’argent ch de trois poissons au naturel posé dans le sens de la bande et acc de deux abeilles d’or l’écu bordé du même Casque couronné Cimier trois plumes d’autruche de sable Lambrequin d’argent et d’azur. English: Azure a bend undy argent charged with three fishs proper placed in the direction (of) the bend and accompanied by two bees or the shield fimbriated of the same Crowned with a helmet Crest: three ostrich feathers sable Mantling: argent and azure. 72) Coire – De gueules à un poisson nageant d’argent acc en chef d’une étoile d’or en pointe d’un tertre de trois coupeaux de sinople Cimier le poisson nageant Lambrequin d’argent et de gueules. English: Gules with a fish naiant [swimming] argent accompanied by in chief an etoile or in base a hillock of three peaks vert Crest: the fish naiant [swimming] Mantling: argent and gules. 73) Allemagne – Écartelé aux 1 et 4 de sable à une ancre d’or aux 2 et 3 de gueules à un dauphin d’argent posé en pal la queue en haut Casque couronné Cimier un homme issant habillé de gueules ceint d’argent entre deux dauphins d’argent les têtes en bas. English: Quarterly 1st and 4th sable with an anchor or 2nd and 3rd gules with a dolphin argent placed palewise the tail upwards Crowned with a helmet Crest: a man issuant dressed gules belted argent between two dolphins argent the heads downwards. 74) Allemagne – Écartelé au 1 de gueules à une licorne naissante d’argent mouv du parti au 2 d’azur à trois étoiles (5) d’argent au 3 d’azur à la fasce ondée d’argent au 4 d’argent à un mont au naturel mouv de la pointe Casque couronné Cimier une licorne issante d’argent entre un vol de sable Lambrequin à dextre d’argent et de gueules à senestre d’argent et d’azur. English: Quarterly 1st gules with a unicorn naissant argent coming from the partition [pale] 2nd azure three etoiles of 5 points argent 3rd azure a fess undy argent 4th argent with a mount proper coming from the base Crowned with a helmet Crest: a unicorn issuant argent between a pair of wings sable Mantling: to the dexter argent and gules to the sinister argent and azure. 75) Allemagne – Écartelé aux 1 et 4 d’or à un loup au naturel s’élançant hors d’une mer d’azur aux 2 et 3 de gueules à une ancre d’argent accolé d’un dauphin du même la tête en bas Casque couronné Cimier les meubles du 2 entre un vol coupé à dextre d’or sur sable à senestre de gueules sur azur Lambrequin conformes aux émauxs du vol. English: Quarterly 1st and 4th or with a wolf proper dashing towards a sea azure 2nd and 3rd gules with an anchor argent accompanied by a dolphin of the same the head downwards Crowned with a helmet Crest: the charges of the 2nd between a pair of wings per fess to the dexter or over sable to the sinister gules over azure Mantling: conforming to the [same as] colours of the pair of wings. 76) Autriche – Parti d’azur et d’or à une ancre sans trabe d’argent brochant sur le parti et accostée de deux dauphins en pals de l’un à l’autre les têtes en bas Cimier l’ancre renversée accostée de deux dauphins en pals à dextre d’azur et à senestre d’or les têtes en haut le tout entre un vol d’azur Lambrequin d’or et d’azur. English: Per pale azure and or with an anchor without beam [of an anchor] argent covering over the per pale and having to the sides two dolphins palewise counterchanged the heads downwards Crest: the anchor reversed having to the sides two dolphins palewise to the dexter azure and to the sinister or the heads upwards all between a pair of wings azure Mantling: or and azure. 77) Allemagne – Parti d’argent et de gueules à une fleur-de-lis de l’un en l’autre le champ chapé-ployé à dextre d’azur à un poisson d’or à senestre d’or à un poisson d’azur lesdits poissons ayant la tête en bas Casque couronné Cimier la fleur-de-lis entre deux poissons d’azur et d’or la tête en bas Lambrequin d’argent et de gueules. English: Per pale argent and gules with a fleur de lys counterchanged the field chape ploye [division top centre curved to dex & sin base] to the dexter azure with a fish or to the sinister or with a fish azure the aforesaid fishes having the heads downwards Crowned with a helmet Crest: the fleur de lys between two fishs azure and or the head downwards Mantling: argent and gules. 78) Allemagne – Coupé au 1 d’azur à l’aigle naissante d’or mouv du coupé au 2 d’azur à trois étoiles d’or Cimier un vol de sable Lambrequin d’or et d’azur. English: Per fess 1st azure with an eagle naissant or coming from the per fess 2nd azure three etoiles or Crest: a pair of wings sable Mantling: or and azure. 79) (Edle von) – Moravie – (An., 4 mars 1846) – Coupé au 1 d’azur à un dextrochère armé d’argent liséré d’or tenant une épée d’argent garnie d’or et acc en chef de deux étoiles d’argent au 2 parti a d’or à une couronne de chêne de sinople b de gueules à une rivière en fasce ondée d’argent ch d’un poisson nageant d’or Casque couronné Cimier deux pennons celui à dextre d’or orné d’un ruban flottant d’azur celui à senestre d’argent orné d’un ruban flottant de gueules les rubans attachés au-dessous du fer de la hampe le tout entre deux proboscides coupées à dextre d’argent sur azur à senestre d’or sur gueules Lambrequin conformes aux émaux des proboscides. English: Per fess 1st azure with a right arm armed argent edged or holding a sword argent hilt and pommell or and accompanied by in chief by two etoiles argent 2nd per pale a) or with a crown of oak vert b) gules with a river fesswise undy argent charged with a fish naiant [swimming] or Crowned with a helmet Crest: two small triangular flags that of the dexter or decorated with a ribbon flying azure that of the sinister argent decorated with a ribbon flying gules the ribbons attached above the iron (tip) of the [of the flag] pole all between two proboscidess per fess to the dexter argent over azure to the sinister or over gules Mantling: conforming to the [same as] colours of proboscidess. 80) Allemagne – D’argent à la bande d’azur ch de trois roses du champ Cimier une tête de Truc de carnation coiffé d’un turban au naturel orné d’une aigrette. English: Argent a bend azure charged with three roses of the field Crest: a head of Turk carnation wearing on the head a turban proper decorated an egret [small heron]. 81) Allemagne – D’azur à la bande d’argent acc de deux étoiles d’or et ch de deux poissons au naturel posés dans le sens de la bande Casque couronné Cimier une étoile d’or entre deux proboscides coupées alternativement d’azur et d’argent Lambrequin d’argent et d’azur. English: Azure a bend argent accompanied by two etoiles or and charged with two fishes proper placed in the direction (of) the bend Crowned with a helmet Crest: an estoile or between two proboscidess per fess alternately azure and argent Mantling: argent and azure. 82) Allemagne – D’argent à une flèche au naturel la pointe en bas enfilant une couronne d’or et accostée de deux poissons au naturel posés en pals Casque couronné Cimier un poisson issant au naturel entre un vol d’argent Lambrequin d’argent et de gueules. English: Argent with an arrow proper the base downwards piercing a crown or and having to the sides two fishes proper placed palewise Crowned with a helmet Crest: a fish issuant proper between a pair of wings argent Mantling: argent and gules. 83) Bavière – (An., 26 juin 1874) – D’azur à cinq étoiles d’argent 2 et 3 le champ chapé-ployé d’argent à deux étoiles d’azur. English: Azure with five etoiles argent 2 and 3 the field chape ploye [division top centre curved to dex & sin base] argent two etoiles azure. 84) Bavière – (An., 24 juillet 1790) – Coupé au 1 d’argent à la bande de gueules ch de trois étoiles d’or au 2 d’azur à deux poissons nageants et affrontés d’argent les bouches attachées à une ligne de sable nouée en sautoir Casque couronné Cimier un lion issant au naturel tenant de ses pattes un poisson au naturel Lambrequin à dextre d’or et de gueules à senestre d’or et d’azur. English: Per fess 1st argent a bend gules charged with three etoiles or 2nd azure two fishs naiant [swimming] and affrontant [face to face] argent the mouths attached to a line sable knotted saltirewise Crowned with a helmet Crest: a lion issuant proper holding in its pawss a fish proper Mantling: to the dexter or and gules to the sinister or and azure. 85) Berne – De gueules à un poisson nageant d’argent acc en chef d’une étoile (5) d’or et en pointe d’une mer d’azur Cimier un demi-vol aux armes de l’écu. English: Gules with a fish naiant [swimming] argent accompanied by in chief an etoile of 5 points or and in base a sea azure Crest: a single wing with the arms of of the shield. 86) Chevaliers de Weyler – Berne – (Chevaliers du St.-Empire, 8 mai 1680), also Fischer de Reichenbach – Écartelé aux 1 et 4 de gueules à un poisson nageant d’argent acc en chef d’une étoile (5) d’or et en pointe d’une mer du second aux 2 et 3 d’azur à un grêlier d’or Casque couronné Cimier le grêlier Lambrequin à dextre d’argent et de gueules à senestre d’or et d’azur. English: Quarterly 1st and 4th gules with a fish naiant [swimming] argent accompanied by in chief an etoile of 5 points or and in base a sea of the second 2nd and 3rd azure with a hunting horn [circular] or Crowned with a helmet Crest: the hunting horn [circular] Mantling: to the dexter argent and gules to the sinister or and azure. 87) Chevaliers d’Ankern – Vienne – (Chevaliers, 20 oct. 1869) – Coupé au 1 parti a d’or à une ancre au naturel b d’azur à trois abeilles mal-ordonnées d’or au 2 d’azur à une licorne saillante et regardante d’argent accornée et onglée d’or l’azur chapé-ployé de gueules à deux lions affrontés d’or lampassés de gueules Deux casques couronnés Cimiers 1° une ancre au naturel entre un vol coupé d’or sur gueules Lambrequin d’or et de gueules 2° un ouvrier-mineur issant habillé au naturel tenant de sa main dextre un maillet la senestre appuyée sur sa hanche Lambrequin d’or et d’azur Devise VORWÄRTS IN TREU UND WAHRHEIT. English: Per fess 1st per pale a) or with an anchor proper b) azure three bees disordered [1 2] or 2nd azure with a unicorn saillant [leaping forward] and reguardant argent horned and unguled or the azure chape ploye [division top centre curved to dex & sin base] gules two lions affrontant [face to face] or langued gules Crowned with two helmets Crests: 1st an anchor proper between a pair of wings per fess or over gules Mantling: or and gules 2nd an young workman issuant dressed proper holding in his dexter hand a mallet [big head small handle] the sinister resting on his hip Mantling: or and azure Motto: VORWÄRTS IN TREU UND WAHRHEIT. 88) Bâle – D’azur à un cor de chasse en forme de poisson d’argent lié et virolé d’or suspendu à un croc de sable emmanché d’or le fer en bas le manche ayant en haut une traverse pour poignée le cor suspendu à cette poignée et brochant sur le manche Cimier les meubles de l’écu sauf que le fer du croc est renversé le cor suspendu au fer et le manche du croc brochant sur le cor Lambrequin d’argent et d’azur. English: Azure with a hunting horn in the form of of a fish argent tied [banded] and bands [encircling the horn] or suspended from a hook sable handle or the iron downwards the handle having upwards a crosspiece for the horn suspended from this handle and covering over the handle Crest: the charges of the shield except that the iron (tip) of hook is reversed the horn suspended from the tip and the handle of the hook covering over the horn Mantling: argent and azure. 89) Bade – (Barons, 16 avril 1891. M. ét. le 5 juin 1859) – D’argent à trois étoiles (5) mal-ordonnées d’or Cimier trois plumes d’autruche Lambrequin d’argent plein. English: Argent three etoiles of 5 points disordered [1 2] or Crest: three ostrich feathers Mantling: argent plain [uncharged]. 90) Bâle – D’azur à un poisson d’argent posé en pal courbé en demi-cercle la courbe à senestre le poisson soutenu d’un tertre de sinople Cimier un homme issant habillé d’azur ceint et rebrassé d’argent au rabat du même tenant le poisson courbé Lambrequin d’argent et d’azur. English: Azure with a fish argent placed palewise curved in a semi circle the curve to the sinister the fish standing on a hillock vert Crest: a man issuant dressed azure belted and turned back [of cuffs etc.] argent with flaps of the same holding the fish curved Mantling: argent and azure. 91) Bavière – (An., 16 janv. 1864) – Écartelé aux 1 et 4 d’azur à un bâton d’Esculape d’or accolé d’un serpent du même aux 2 et 3 de gueules à une ancre d’argent Casque couronné Cimier une ancre sans trabe d’argent accolée d’un serpent d’or entre un vol de sable Lambrequin à dextre d’argent et de gueules à senestre d’or et d’azur. English: Quarterly 1st and 4th azure with a baton of Aesculapius or accompanied by a snake of the same 2nd and 3rd gules with an anchor argent Crowned with a helmet Crest: an anchor without beam [of an anchor] argent accompanied by a snake or between a pair of wings sable Mantling: to the dexter argent and gules to the sinister or and azure. 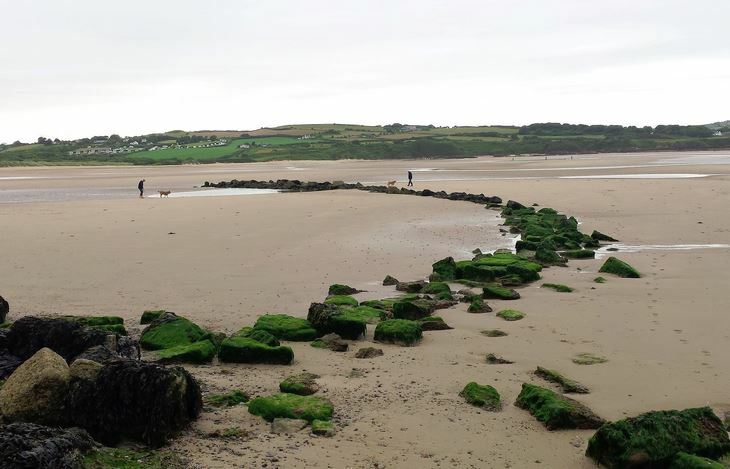 92) Bavière – Parti de sable et d’or à un homme habillé de l’un en l’autre coiffé d’un chapeau posé sur un tertre et tenant un filet à manche posé sur son épaule le tout de l’un en l’autre Cimier l’homme issant. English: Per pale sable and or with a man dressed counterchanged wearing on the head a hat placed on a hillock and holding a fishing net with the handle placed over his shoulder all counterchanged Crest: the man issuant. 93) ou von Fischen – Poméranie, P. de Lauenbourg – Parti au 1 d’argent à trois flèches d’or posées en fasces l’une sur l’autre les pointes à senestre acc en chef d’une étoile d’or au 2 d’azur à deux étoiles d’or l’une sur l’autre acc en chef d’un croissant figuré montant d’argent Cimier un croissant figuré montant d’azur supportant dans sa courbe une flèche d’or en pal la pointe en haut et de chaque corne une étoile d’or Lambrequin d’argent et d’azur. English: Per pale 1st argent three arrows or placed fesswise in pale the points to the sinister accompanied by in chief an etoile or 2nd azure two etoiles or in pale accompanied by in chief a crescent figured [with a face] horns upward argent Crest: a crescent figured [with a face] horns upward azure supporting in its curve an arrow or palewise the base upwards and of each horn an etoile or Mantling: argent and azure. 94) de Fischer-Benzon, Danemark – (An., 22 nov. 1803) – Les armes de Benzon qui sont d’or à deux chevrons d’azur acc de trois roses de gueules boutonnées d’or à un rencontre de boeuf de sable en abîme entre les chevrons Cimier un lion d’or issant d’un panier d’osiers et tenant de sa patte dextre une flèche d’or en barre la pointe en bas. English: The coat of arms of Benzon which is or two chevrons azure accompanied by three roses gules budded or with the horns of an ox [with tail pendant] sable in fess point between the chevrons Crest: a lion or issuant from a willow basket and holding in its paws dexter an arrow or bendwise sinister the base downwards. 95) Fischer de Nagy-Szalatnya, Hongrie – (An., 1556; barons, 1652) – D’azur ch d’une mer d’argent en pointe supportant une couronne d’or sommée d’un homme marin à deux queues le visage barbu posé de front tenant de sa main dextre un sabre d’argent garni d’or et de sa senestre un poisson au naturel. English: Azure charged with a sea argent in base supporting a crown or surmounted by a Triton two tails the face bearded placed facing forwards holding in his dexter hand a sabre argent hilt and pommell or and in his sinister a fish proper. 96) Fischer de Rieselbach – Autriche – (Chevaliers, 20 juillet 1782) – Coupé au 1 parti de gueules et d’argent à un pêcheur issant habillé de l’un en l’autre coiffé et retroussé pareillement tenant de sa main dextre un filet posé sur son épaule la senestre appuyée sur sa hanche au 2 parti a d’argent à un dextrochère au naturel paré de gueules la main de carnation tenant une plante de tabac au naturel b de gueules à une ancre d’argent acc de trois étoiles du même rangées en chef Deux casques couronnés Cimiers 1° le pêcheur issant 2° le dextrochère Lambrequin d’argent et de gueules. English: Per fess 1st per pale gules and argent with a fisherman issuant dressed counterchanged hair and turn ups likewise holding in his dexter hand a fishing net placed over his shoulder the sinister resting on his hip 2nd per pale a) argent with a right arm proper clothed [dressed] gules the hand carnation holding a tobacco plant proper b) gules with an anchor argent accompanied by three etoiles of the same arranged in chief Crowned with two helmets Crests: 1st the fisherman issuant 2nd the right arm Mantling: argent and gules. 97) & 98)) Fischer d’Erlach – Autriche – (An., 1705) – Coupé au 1 d’azur à une boule ailée d’or couronnée du même au 2 un bras accolé d’un serpent A une bande de ch de six étoiles d’or et brochant sur le coupé (Barons 1735 sans prédicat d’Erlach) Écartelé aux 1 et 4 d’or à la bande de sable ch d’une boule d’or et de deux étoiles du même ladite bande acc de deux demi-vols de sable aux 2 et 3 d’argent à un dauphin nageant sur une mer le tout au naturel Sur le tout d’azur à une sirène de carnation couronnée d’or Cimiers 1° un demi-vol contourné de sable 2° la sirène 3° le dauphin. English: Per fess 1st azure with a ball winged or crowned of the same 2nd an arm accompanied by a snake Overall a bend of charged with six etoiles or and covering over the partition ( Barons 1735 without the guidance of Erlach ) quarterly 1st and 4th or a bend sable charged with a ball or and with two etoiles of the same the aforesaid bend accompanied by two single wings sable 2nd and 3rd argent with a dolphin naiant [swimming] over a sea all proper overall azure with a mermaid carnation crowned or Crests: 1st a single wing reversed sable 2nd the mermaid 3rd the dolphin. 99) Fischer de Teichstett – Bavière – (M. ét.) – D’azur à deux avirons d’or passés en sautoir accostés de deux roses du second Cimier un buste d’homme habillé d’un parti d’or et d’azur au rabat de l’un en l’autre coiffé d’un bonnet pointu parti d’or et d’azur retroussé de l’un en l’autre. English: Azure two oars or placed saltirewise having to the sides two roses of the second Crest: a bust of a man dressed a per pale or and azure with flaps counterchanged wearing on the head a hat pointed per pale or and azure turned up counterchanged. 100) Fischer-Ehrenstrom – Autriche – (Barons, 1771) – Écartelé aux 1 et 4 de sable à un bras armé d’argent mouv du bas posé en pal la main de carnation empoignant un poignard d’argent en pal au 2 d’azur à une couronne d’or au 3 d’azur à un poisson d’or posé en bande Sur le tout de gueules au chiffre M T d’or Deux casques couronnés Cimiers 1° une aigle éployée de sable tenant de chaque serre une bannière celle à dextre d’or celle à senestre d’argent Lambrequin d’or et de gueules 2° un homme issant habillé d’azur ceint et rebrassé de gueules coiffé d’un bonnet hongrois tenant de sa main dextre levée un poisson d’or en pal le tout entre un vol de sable et d’or l’aile dextre ch d’une fasce d’argent surch de trois étoiles de sinople la senestre ch d’une fasce de sinople surch de trois étoiles d’or Lambrequin d’or et d’azur. English: Quarterly 1st and 4th sable with an arm armed argent coming from the base placed palewise the hand carnation holding in its fist a dagger argent palewise 2nd azure with a crown or 3rd azure with a fish or placed bendwise overall gules a figure M T or Crowned with two helmets Crests: 1st an eagle displayed sable holding in each talon a square flag that to the dexter or that to the sinister argent Mantling: or and gules 2nd a man issuant dressed azure belted and turned back [of cuffs etc.] gules wearing on the head a Hungarian hat holding in his dexter hand upright a fish or palewise all between a pair of wings sable and or the wing dexter charged with a fess argent surcharged with three etoiles vert the sinister charged with a fess vert surcharged with three etoiles or Mantling: or and azure. 101) Fischer von See – Autriche – (An., 2 juin 1810) – Coupé au 1 d’or à l’aigle éployée de sable mouv du coupé au 2 d’azur à deux dauphins d’argent passés en sautoir acc de trois étoiles du même 2 et 1 Cimier un bras armé brandissant une épée Lambrequin à dextre d’or et de sable à senestre d’or et d’azur. English: English: Per fess 1st or with an eagle displayed sable coming of per fess 2nd azure two dolphins argent placed saltirewise accompanied by three etoiles of the same 2 and 1 Crest: an arm armed brandishing a sword Mantling: to the dexter or and sable to the sinister or and azure. 102) Fischer-Weickersthal – Wurtemberg – (An., 1811) – Écartelé au 1 d’azur à un dauphin d’argent ondoyant en pal la tête en bas et tournée vers senestre au 2 tranché d’or sur sable à deux fleurs-de-lis de l’un à l’autre au 3 d’argent à deux rocs escarpés au naturel mouv des flancs du quartier laissant entre eux un ravin au 4 de gueules au lion d’or Sur le tout d’or à l’aigle éployée de sable Casque couronné Cimier une fleur-de-lis d’or entre deux dauphins d’argent les têtes en bas et affrontées Lambrequin à dextre d’or et de sable à senestre d’argent et d’azur. English: Quarterly 1st azure with a dolphin argent undulating palewise the head downwards and turned towardss sinister 2nd per bend or over sable two fleur de lys counterchanged 3rd argent two rocky peaks proper coming from the flanks of the quarter leaving between them a ravine 4th gules of lion or overall or with an eagle displayed sable Crowned with a helmet Crest: a fleur de lys or between two dolphins argent thes heads downwards and affrontant [face to face] Mantling: to the dexter or and sable to the sinister argent and azure. 103) Fischer-Zobeltitz – Brandebourg – (An., 4 déc. 1867) – Les armes de Zobeltitz qui sont coupé au 1 d’or à l’aigle éployée naissante de sable mouv du coupé au 2 de gueules à deux pals d’argent Casque couronné Cimier une belette assise au naturel Lambrequin à dextre d’argent et de gueules à senestre d’or et de sable. English: Thes coat of arms of Zobeltitz which are per fess 1st or with an eagle displayed naissant sable coming of per fess 2nd gules two paletss argent Crowned with a helmet Crest: a weasel sitting proper Mantling: to the dexter argent and gules to the sinister or and sable. This is an English (or German, Fischer) occupational name denoting a person who earned his living as a fisherman, or a topographic name for a person who living near a fishing weir, deriving from the Old English world fiscere or fiscian meaning “to catch fish”. In Ireland, it is an Anglicized version of the name Gaelic Ó Bradáin, meaning “descendant of Bradán”, with Bradan being a personal (first) name meaning “salmon”. In Scotland, it can also be an Anglicized version of MacInesker or the Celtic name Mac an Iascair. In the United States, various non-English surnames has been Americanized into Fisher, including the German Fischer, Dutch Visser, and the Italian Pescatore, among others. It is believed the surname was brought into England from France during the Norman Conquest of 1066 AD. It is claimed the family held lands and title at Warwickshire where they were granted property by William the Conqueror for their service to him at the Battle of Hastings. In Germany, the Fischer family was first found in Saxony. In his book, Patronmyica Britannica, Mary Antony Lower writes the following “Fitz-Urse is said to have gone over to Ireland, and there to have become ancestor of the Mac Mahon family-Mac Mahon being the Celtic equivalent of ‘Bear’s son;’ but other branches of the family remained in England, and gradually corrupted the family name thus; Fitzour, Fishour, Fisher. The great Kentish family of Berham, or Barham, is also deduced by Philipot, Harris, and other Kentish historians from the same source-apparently upon the strength of the first syllable of that name resembling the word bear”. Common spelling variants or names with similar etymologies include Fischer (German), Fysher, and Fyshar. The last name Fisher ranks 100th in popularity in the United Status as of the 2000 Census. The name ranks particularly high in the following five states: Pennsylvania, Ohio, Indiana, Iowa, Montana, and Idaho. The surname Isaac frequency/commonness ranks as follows in the British Isles: England (96th), Scotland (196th), Wales (95th), Ireland (989th) and Northern Ireland (356th). In England, it ranks highest in county Berkshire. In Scotland, the Fisher surname rankest highest in Pethshire. In Wales, it ranks highest in Denbighshire. In Ireland, it ranks highest in Wicklow. In Northern Ireland, it ranks highest in county Down. The name is also present throughout the remainder English speaking world: Canada (158th), New Zealand (135th), Australia (96th), and South Africa (299th). The 1890 book Homes of Family Names by H.B. Guppy, states the following in regard to this surname: “This name is irregularly distributed over England, being however absent or infrequent in that part lying south of a line joining the mouths of the Thames and the Severn. It is at present most numerous in Cumberland and Westmoreland, Lancashire, Notts, and Norfolk. It is also established in Scotland”. In the United States, the surname Fischer ranks 419th. It is extremely common in German (2nd), Switzerland (10th), and Austria (13th). The earliest known bearer of this surname was Richard le Fischer who was documented in the Feet of Fines of Essex in 1263 AD. The Hundred Rolls of 1273 AD, a census of Wales and England, known in Latin as Rotuli Hundredorum lists two bearers of this surname: Robert le Fyscher (Buckinghamshire) and Margery le Fischere (Huntingsonshire). The Poll Tax of Yorkshire in 1379 AD lists four bearers of this last name: Ibota Fischher, Alicia Fyssher, Hugo Fysscher, and Walter Fissher. An marriage involving this surname was Annis Fisher to Robart Marle at St. Martin Orgar in London in 1549 AD. An early baptism involving this name was Anne, daughter of Thomas Fisher, at St. Mary Magdalene’s, Bermondsey in 1552 AD. George Fraser Black’s 1946 book The Surnames of Scotland, states the following in regard to this last name: “Michael Fysser who appears in record in 1344 as bailie of Perth is probably the Michaele Fisser recorded in 1338. Donald Fyscher witnessed an Atholl charter of 1455, Andro Fischer was admitted burgess of Lanerk in 1488, Constancius Ficher was tenant in barony of Carstairs in 1513 (Rental), and Thomas Fyschiar was one of the bailies of Edinburgh in 1603”. Edward Rowe Fisher, Esquire of Thorncombe, Surrey was born in 1832 and succeeded his father in 1870. He was a Captain of the 4th Dragoon Guards that served in the Crimean War. In 1865, he married Edith Maria, only child of Mayow Wynell Adams of Sydenham, and had three issue with her: Laurence Rowe (1866), Herbert Mayow, and Mabel Edith. In 1874, he married Lady Victoria Isabella, daughter of the Earl of Ravensworth, and had two issue with her: Seymour (1876) and Eleanor Frederica. The Fisher genealogy traces back to Joseph Fisher, Esq. of Scarrowhill in the parish of Cumwitton, Cumberland, bequeathed by his will, proved 1751, Ruckcroft to his grandson, Edward Fisher, of Dale, Cumberland, son of Edward, who married Elizabeth, daughter of John Varty. The son of this marriage was Edward Fisher of Dale, who in 1789, married Deborah, daughter of Isaac Slack, Esq., and had a son and heir with her named Thomas. Thomas Fisher was Esquire of Thorncombe who was born in 1790 and in 1828, married Anna Berry, daughter and co-heir of Laurence Rowe, of Brentford, and had an only child with her: Edward Rowe (mentioned at the beginning of this paragraph). The Fisher Coat of Arms (erroneously called the Fisher Family Crest) is blazoned as follows: Ermine, on a fess wavy very between three kingfishers proper as many fountains. Crest: Amidst bulrushes a fountain, therefrom a kingfisher rising, in the beak a fish all proper. The family motto was Favente Deo and they were seated at Thorncombe, near Guilford, Surrey. Edward Fisher, Esquire of Spring Dale, county York, was born in 1804. 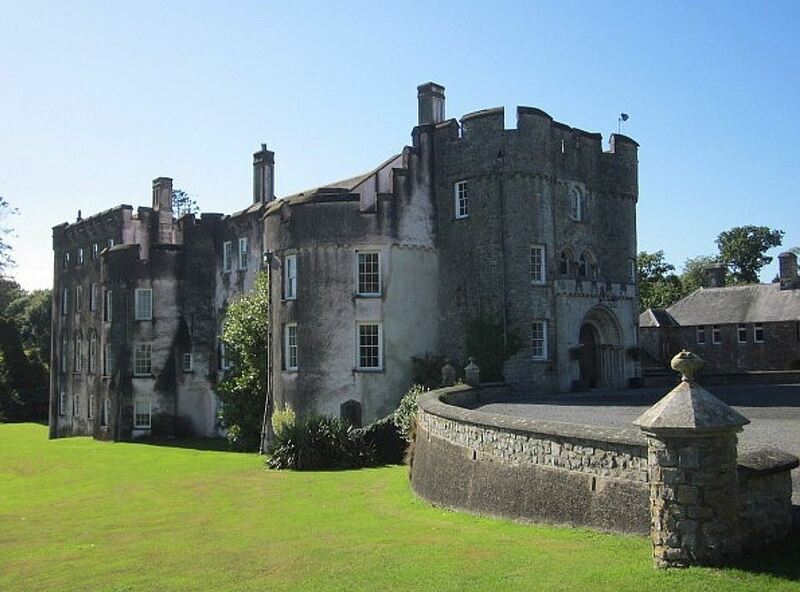 In 1839, he married Jane, daughter of Dominick Gregg of Lisburne and Coleraine, Ireland, and had seven issue with her as follows: Charles Edward Gregg (later Philipps, of Picton Castle, was Justice of the Peace and Lord Lieutenant of Haverfordwest), William Dominick, Sharples (married Constance Madeline Ellen), George Gregg, Caroline Phoebe (married Robert Goddard of the Middle Temple), and Mary Gregg (married Sackville Herbert Owen), and Jane Edith. The lineage traces back to Edward Fisher, Esquire of Thorne, by his marriage with Miss Brady, left, with other issue, an only son named John. This John Fisher, of Spring Dale, was born in 1767, and in 1800, married Phoebe, daughter of J. Sharples of Hitchin, and had issue with her, including a son named Edward (mentioned at the beginning of this paragraph). The Fisher Coat of Arms (mistakenly called the Fisher Family Crest) has the following heraldic blazon: Argent, on a chevron gules, three trefoils slipped of the field, in chief as many fleur-de-lis of the second. Crest: In front of a bulrush erect a kingfisher proper resting the dexter claw on a fleur-de-lis or. The family motto is Virtute et fide. The family was seated at Spring Dale, Huddersfield. Argent in chief two demi lions rampant erased gules, and in base the stern of an ancient battleship showing three lanterns proper. Crest: A dexter hand in armour, couped at the wrist, grasping the head of a trident erect all proper. Supporters: On either side a sailor of the Royal Navy supporting in the exterior hand an anchor cabled that to the dexter in bend sinister and that to the sinister in bend dexter all proper. The family resided at Kilverstone Hall, Thetford, Norfolk. Edward Fisher was born in St. Oswald’s, Elvert, Durham, England around 1504. He married Elizabeth Todd and had a daughter with her named Elizabeth, born in 1538, who married Thomas Cogan, and had a son with him named Philobert Cogan. Donald Fisher was born in Killin in Scotland in 1757 AD. He married Elizabeth Monroe and had a son with her prior to his 1799 death in Montreal, Quebec. This sons name was Captain Henry Monroe Fisher, who was born in Hebron, New York in 1776. He married Maddeleine Gautier de Verville and had a son with her named Henry Munro. Henry Munro was born in Priare du Chien in 1800 and married Marguerite la Framboise, with whom he had a son named John. This John Fisher was born in Assiniboia, Canada in 1823 and he married Elizabeth Brabant, having a daughter with her named Eliza. Henrich Geor Fisher was born in Germany in 1703 and came to the United States. He married Anna Maria Boger and had a daughter with her named Maria Barbara Fischer, born in West Virginia in 1735. Mayor Balthasar Fischer was born in Langenselbohl, Germany in 1560. He married Christin (last name not known) and had two sons with her: Anton and Georg. His son Georg was born in Langenselbohl was born in the same town in 1613. He married Catharina Lerchen and had a son with her named Weigel. This Weigel was born in the same town in 1654 and he married Anna Barbara Lerch, with whom he had two sons: Weigle and Wilhelm. His son Wilhelm Fischer was born in Berlin in 1725. He in turn had a son named William M. who was born in Germany and 1762 and came to colonial America. He married Mary Williams in North Carolina in 1787. They had a son named John. This John Fisher was born in Phildelphia, Pennsylvania in 1787 and he married Lucretia Harrison, with whom he had two issue: Lucinda Margaret and John. His son John was born in West Virginia in 1829. He married Mary A. Shirkey and had two sons with her: William M. and Henry F. His son Henry F. Fisher was born in 1871 and he married Crosby Anneta Smith. He died in 1957. Robert Fisher came to Virginia aboard the Elisabeth in May 1611. Edward Fisher came to Virginia aboard the Jonathan around 1620. Edward Fisher, age 35, came to Virginia aboard the Bonaventure in January 1634. Robert Fisher, age 34, came to Virginia aboard the Bonaventure in January 1634. Edward Fisher, age 27, came to St. Christopher’s aboard the Paul of London in April 1635. Gabriell Fisher, age 36, came to Virginia aboard the Safety in August 1635. William Fisher, age 25, came to Virginia aboard the Abraham in October 1635. Henry Fisher was recorded as living in Virginia in February 1623, as were John, Edward, Thomas, and Samwell Fisher. Jane Fisher was recorded among the dead in Virginia in February 1623. 1) Anthony Fisher of Dedham, 1637, born at Syleham, county Suffolk, England; freeman, perhaps in 1646, died in 1670. In 1647, he married Joanna Faxon and had Mehitable (1648), Josiah (1654), Sarah (1658), and Elizabeth (1669). 4) Joshua Fisher, born in England, who in 1643, married Mary, daughter of deacon Nathan Aldis, and had issue with her: Mary (1644), Joshua (1645), Hannah (1647), Abigail (1649), Joshua (1651), John (1652), and Hannah (1653). He died in 1674. 5) Cornelius Fisher, born in England, the son of Anthony. In 1653, he married Leah, likely the daughter of Nathaniel Heaton and had children named Leah, Experience, Cornelius, Ann, and Eleazer. In 1665, he married Sarah, daughter of Richard Everett, who died in 1676, and had issue Dorothy (1667), Sarah (1668), and Jonathan (1671). 6) Edward Fisher of Portsmouth, Rhode Island, freeman in 1655. His daughter Ruth married John Potter in 1664, and his other daughter Francis married John Briggs. 7) Samuel Fisher of Wrentham, by wife Meletiah, had Ebenezer (1670), Hannah (1672), and Abigail (1674). He was a deacon and representative in 1689. He died in 1703. Other early settlers in colonial America bearing this surname who came in the eighteenth century include Daniel Fisher (Virginia 1701), Simon Fisher (New England 1709), Edward Fisher (Boston 1712), Caleb Fisher (New England 1716), and Fleny Fisher). Persons who came bearing the German version of this last name include Johannes Fischer (1693), A Sybilla (1701), Johannes Fischer (New York 1708), Sebastian Fischer (1709), and Johan Michael Fischer (Pennsylvania 1730). In Canada, one of the earliest settlers with this surname was John Fisher, a United Empire Loyalist (a person who came from America, opposing the Revolution and remaining loyal to the British crown) who was in Ontario in 1775. In Australia, one of the earliest bearers was Richard Fisher, a convict from Lancaster, England, who settled in New South Wales (then a penal colony), coming aboard the Asia in 1822. In New Zealand, some of the earliest bearers landed in Auckland and Wellington in 1840: Francis, James, and Isaac Fisher. grave of Jabez Fisher Esq. 1) (Bookplate Francis Fisher) – Az in chief a ducal crown, in base a dolphin embowed. Crest: an eagle rising. 2) (Bookplate Jabez B. Fisher, Phila.) – Az a fess embat, counter-embat or, bet 3 dolphins naiant. Crest: a heron on its nest swallowing a fish. 3) (Bookplate Lindley Fisher, Phila.) – Or 3 kingfishers ppr contourné. Crest: a stag’s head collared and chained contourné. Crozier’s General Armory (1904) and Matthew’s American Armoury (1907) and Bluebook do not contain any entries for this surname. *This is a quote from the Aeneid by Virgil, the ancient Roman poet who lived from 70-19 BC. 2) Fisher, of London, July 1614, by Camden: Or, three demi-lions rampant, a fessee dancette (indented) gules: Crest: A demi-lion rampant gules holding a branch proper. 12) John Fysher of Corston, county Warwick, confirmed 1565-6. 4) Sarah Marie Fisher (1980) was an American professional racecar driver who competed in the IndyCar Series and Indianapolis 500 and was born in Columbus, Ohio, 5) Sir Ronald Aylmer Fisher (1890-1962) who was an English biologist and statistician who combined Mendelian genetics and natural selection, born in East Finchley, London, 6) Reverend Osmond Fisher (1817-1914) was an English geologist and geophysicist born in Osmington, Dorset, 7) Ray Lyle Fisher (1887-1982) who was an American professional baseball pitcher and college coach who was born in Middlebury, Vermont and played for the New York Yankees and Cincinnati Reds, 8) John Fisher (1771-1823) who was a United States federal judge from Delaware nominated by James Madison in 1812, 9) John Fisher (1469-1535), a Roman Catholic Saint, was an English Catholic Bishop and theologian and Chancellor of the University of Cambridge who was executed by King Henry VIII during the English Reformation, 10) John King Fisher (1853-1884) who was a gunslinger and American outlaw in Texas during the American Old West, born in Collin County in 1853, 11) Jonathan Fischer (1768-1847) who was the first Congregationalist minister in Blue Hill Maine, as well as a farmer, scientist, mathematician, writer, and surveyor, 12) George Fisher (1788-1861) who was a representative in the U.S. House of Representatives from New York, 13) Hermann Emil Fischer (1852-1919) who was a German chemist and winner of the 1902 Nobel Prize who discovered Fischer esterification, 14) Adam Fischer (1888-1968) who was a Danish sculptor born in Copenhagen, 15) Adam Fischer (1949) who is a Jewish-Hungarian conductor and was the general music director of the Austro-Hungarian Orchestra, 16) Edmond Henri Fischer (1920) who is a Swiss American biochemist who won the 1992 Nobel Prize in Physiology or Medicine, 17) Robert James Fischer (1943-2008) who was an American chess grandmaster considered to be the great player of all time, who defeated Boris Spassky of the USSR in a match held in Iceland during the Cold War, 18) Major General Eduard von Fischer (1862-1935) who was a Jewish Colonel in Austria during World War I, 19) Ernst Fischer (1900-1975) who was born in Magdeburg, Germany and became a composer of operettas, film music, and orchestral suites, 20) Kuno Fischer (1824-1907) who was a German philosopher who studied at Leipzig and Halle, and 21) Patrick Fischer (1975) who is a Swiss ice hockey player who briefly played in the National Hockey League and is the head coach of the Swiss national team. The main heraldic symbol of heraldry in the Fisher Coat of Arms (erroneously called the Fisher Family Crest) is the demi lion. The demi-lion is a variant of the typical creature shown only from the waist upward. It can take all same poses and attitudes of its fully represented brethren and often appears to be emerging from some other device such as a fess or chief. 433 No special significance should be given to the demi appearance and it should be taken to have the same meanings and interpretations as the noble king of beasts itself.